The best kept secret in corporate entertainment ! Cabinet Shuffle offer a feast of musical treats to suit every taste and every occasion. 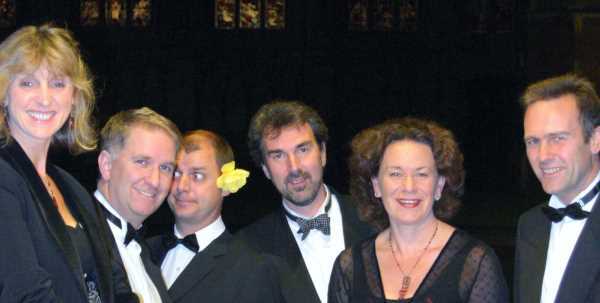 humour, sophistication and above all, beautiful music to enhance any event. Several of our singers have been ex-Swingles or King Singers and feature on our CDs. with only a tuning fork between them. Cabinet Shuffle is the ideal entertainment. with the port and coffee. all about your colleagues, clients and friends. The block bookings and repeat invitations are proof of their many satisfied customers. Contact us for a free copy of the Cabinet Shuffle Demonstration CD. Make this a very special year - Make a date with Cabinet Shuffle.